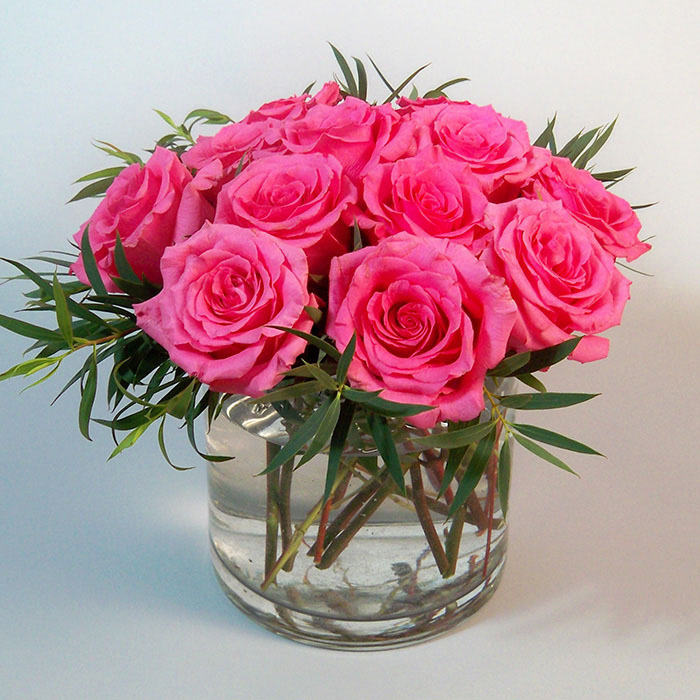 Try something a touch more contemporary and choose to send a dozen premium pink roses arranged in a 6”x 6” cylinder. Arranged in a more compact style and achieving the upscale look you are looking for. Standing 11” tall and 11” wide.